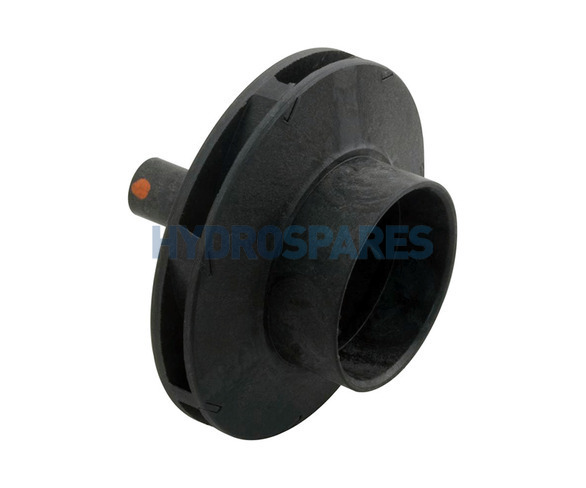 OEM impeller for the Aqua-flo Flo Master XP2e 1.5Hp wet end 48 Frame. XP2e 48 Frame impellers have 7 diagoinal slots on the impeller face. These impellers will also fit discontinued XP2 wet ends. In 2012, the way Aqua-flo pumps are rated changed. They are now rated with both an operational horsepower (Hp), and a total horsepower (THp) rating. Older versions only used the operational horsepower. If you are replacing a pre 2012 Aquaflo pump impeller, be sure to match the operational hp rating rather than the total hp. When replacing an impeller you should always replace the shaft seal as well.